Colour Full is a sensory, participatory performance workshop using dance, movement, music and paint by learning-disabled artist JoAnne Haines with producing partner Mind the Gap. JoAnne will collaborate with dancer Rachel Dean, visual artist Bryony Pritchard and groups of learning-disabled participants to create an engaging workshop that can be delivered in a number of contexts, including schools, day centres, arts festivals and theatre venues. Colour Full is an opportunity to be playful, messy and expressive, and prove that art can be made by anyone. 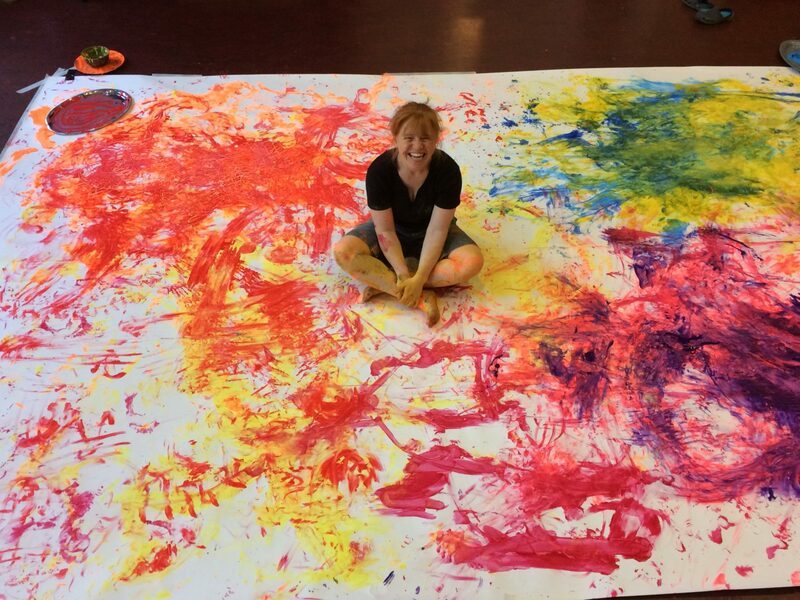 Working with learning-disabled participants to make giant sheets of visual art using movement activities and bodies covered in paint, Colour Full culminates in a sharing event at Square Chapel Arts Centre.